This entry was posted on October 21, 2018 by Van Rental. 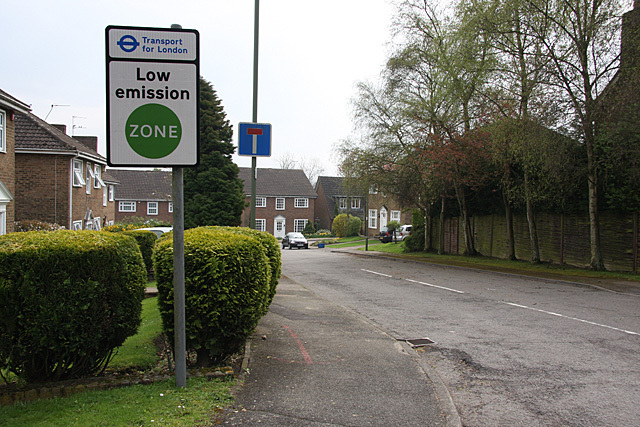 The London LEZ already covers most of the area inside the M25 and is set to become stricter, with a new Ultra-Low Emission Zone planned inside the North/South Circular from 2021. I’ve often talked about the cost advantages of renting a van for occasional van users. But the environmental gains are equally exciting. Data released by the British Vehicle Rental & Leasing Association (BVRLA) to mark Green GB Week show that 56% of the UK’s van rental fleet already meets the latest Euro VI emissions standard. In contrast, just 13% of the UK’s van fleet as a whole is Euro VI. Of course, one reason for this is that the leasing and rental sector is one of the biggest buyers of new vans in the UK. After 2-4 year, most of these vans are then sold into the secondhand market. But the reality is that buying a cheap, old van seems to be a poor choice, environmentally, compared to occasionally renting a nearly-new van. This has implications for drivers wanting to travel into the expanding London ULEZ and potentially into other planned Clean Air Zones. Keeping an old van parked up for occasional use in cities could cost you dearly if planned charges are introduced. Plus it’s likely to cost you more to run (and more headaches) than an occasional rental. Even if you don’t venture into our major cities, you’ll probably be concerned about minimising your impact on air quality, which is already dangerously poor in many areas of the UK. Our independent van hire price comparison engine allows you to compare van hire prices from most of the UK’s main rental firms. If you’re considering the cost of van hire, why not take a look?